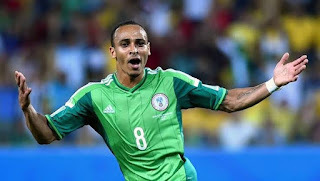 Former Super Eagles forward, Osaze Odemwingie, has announced his retirement from football. The 37-year-old was capped for Nigeria more than 60 times, scoring at the 2014 World Cup. Odemwingie also scored 36 goals in 129 Premier League appearances between 2010 and 2016. He told Sky Sports, “It’s an emotional day, so many memories go through your head. Odemwingie, whose last professional appearances came for Indonesian side, Madura United in 2017, revealed he intends to embark on a coaching career. “The next chapter is slowly building up to a coaching career and hopefully, I will be coaching in the Premier League one day,” he said.